Cricket for Girls aims to create unforgettable and empowering sporting experiences for females of all ages, abilities and backgrounds. We aim to create a platform and environment from which cricket becomes one of the most accessible sports for females at grassroots level in the UK. Cricket for Girls aspires to be the go-to coaching initiative for all female players and coaches within the game and beyond, building confidence and forging lasting friendships both on and off the field. 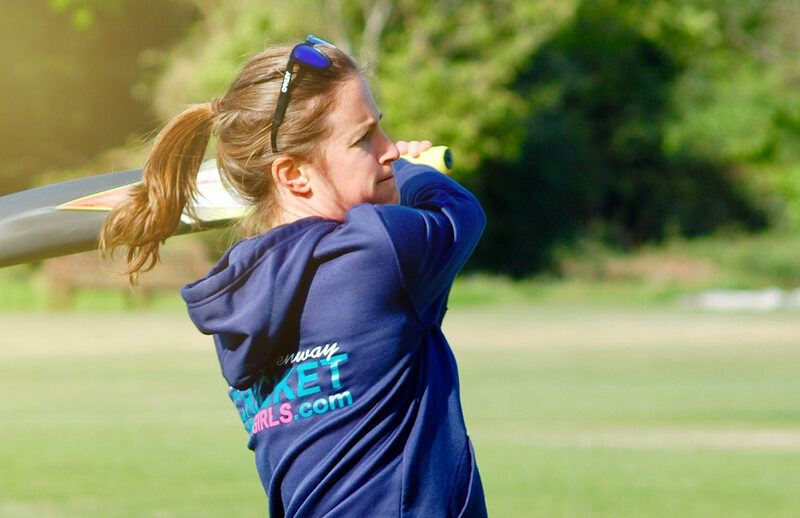 Cricket for Girls has a high quality all-female coaching team dedicated to inspiring women and girls to enjoy cricket at all levels and to take on all challenges both on and off the sporting field. Our coaches are available to schools and clubs during term time and school holidays. Please complete our contact form for any additional information about Cricket for Girls and our coaching resources. Each Cricket for Girls camp is tailored to match the experience level of participants. Whether the girls are new to the game, or already enjoying the challenge of hard-ball cricket and looking to further develop their skills, a minimum of two coaches will be on hand to work with players of all abilities. All aspects of the game will be covered with beginners learning skills needed to play fast-paced ‘Tornado’ Cricket, whilst more experienced players will be challenged with more advanced skills, drills and different formats of the game.